This post is sponsored by Scott Products and The Motherhood. All opinions are 100% my own and may differ from yours. I will only endorse companies, products and services that I believe, based on my own experiences, are worthy of endorsement. As a frugal mom who loves saving money, especially on the basic necessities that I have to shop for all the time, like toilet paper, I love when I find great coupon deal. I also don’t want to keep it to myself, but share it with YOU, my readers. 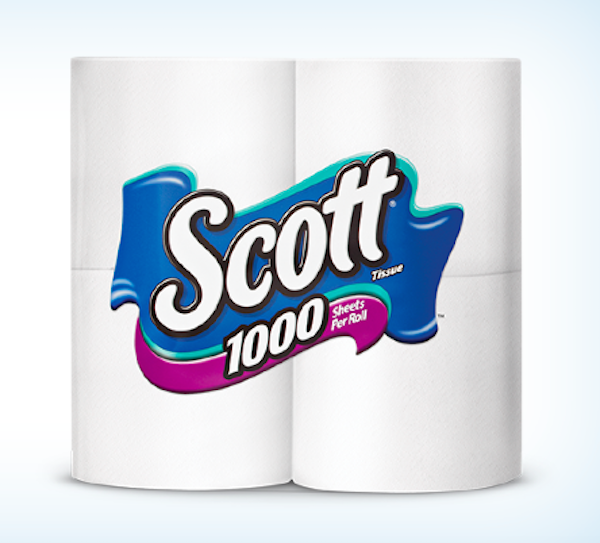 Scott 1000 toilet paper gives you the quality, performance, and long-lasting value you want and need in 1,000 sheets. Right now you can get $1.00 off when you buy a 4-Pack of Scott 1000 at Walmart. Make sure your computer is hooked up to a printer, enter the code and print your coupon! Great deal since Scott is already so reasonably priced!! Thanks for sharing! We use this brand and will certainly use the coupon!